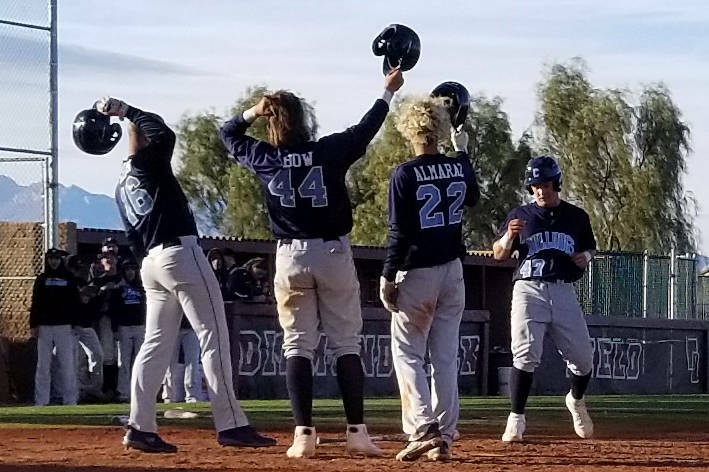 The Bulldogs played six games in the Diamondback Kickoff Tournament, five of them decided by one run, including a 7-6 win over Arbor View in Saturday’s championship game at Desert Oasis. High school baseball coaches enter opening-weekend tournaments for a variety of reasons. Some hope to take a look at a bunch of pitchers or give players plenty of at-bats against live pitching. Centennial got a little bit more than that out of the Diamondback Kickoff Tournament. 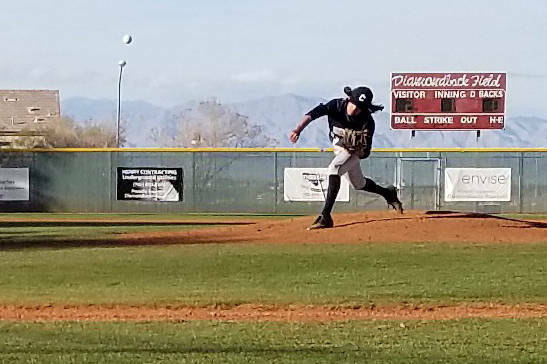 The Bulldogs played six games, five of them decided by one run, including a 7-6 win over Arbor View in Saturday’s championship game at Desert Oasis. The Bulldogs went 4-2 in the tournament, winning three one-run games. Things didn’t look as if they would be that close in the championship game, as the Bulldogs jumped on some young Arbor View pitchers for seven runs in the first two innings. The Bulldogs got big hits from their two most experienced hitters: seniors Kris Bow and Austin Kryszczuk. Bow hit a two-run homer to right field in the top of the first, and Kryszczuk hit a two-run blast to left to highlight a five-run second inning. Arbor View didn’t go quietly, as a two-run double by Jesse Pierce made the score 7-3 after three innings. Things got interesting in the fourth when first baseman Bow lost a chopper off the bat of Nick Cornman in the sun. The ball ended up in the right-field corner for a two-run triple, and Niles Scafati-Boyce singled home Cornman to pull the Aggies within a run. But reliever Trevor Wright got the Arkansas-bound Pierce to pop out to end the inning. Wright threw 2⅓ scoreless innings of relief to get a save, striking out Cornman with the tying run at third to end the game, which was called after six innings because of darkness.